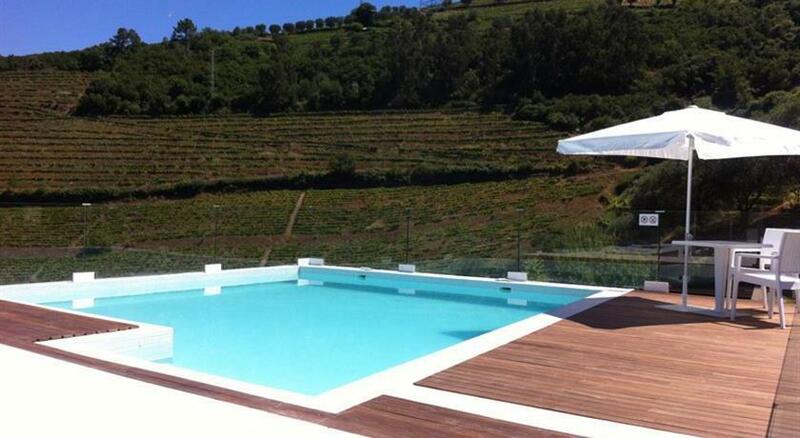 Following the course of the Douro river, we came to a place where the waters are brighter and the air is purer. In the hills surrounding the bed of the golden river terraces are sculpted by the hand of man, from which the famous Port wine and much appreciated Douro table wines. The Douro is like a screen that will change color depending on the season, painted the leaves and flowers of various crops. In the spring when the almond blossom, white and violet mingle with green leaves. Already in autumn, the hills and valleys are covered by a mantle of brown and copper. The green vegetation contrasts with the brightness of the waters of several rivers and streams that meander through the region. The local river “Sabor” runs wild without human intervention, the river “Coa” terminating ancient treasures and Corgo, Tua, Tavora and Varosa rivers and embrace the heart of the wine region. Just a few examples of the dozens of tributaries of the Douro river with him living in close harmony. Between vegetation and cliffs hide themselves endangered animals, especially birds of prey, who derive their livelihood from the waters of the Douro river or small rodents. The Douro region, drought in summer and freezing in winter, is full of contrasts - to add to the main cultivation of vines, olive and almond trees are plentiful and mark the local cuisine, there are extensive areas of wild land populated by vegetation wild and valleys and fertile plains are cultivated the most diverse fruit and vegetables. In the region there are three areas of great environmental importance, the Douro International Natural Park and Protected Landscape of Alvão the Albufeira do Azibo , allowing embroiled in the midst of nature and discover sights, waterfalls, springs, beaches Inland, rare plants, wildlife and many other hidden treasures. In the Douro region , nature has managed to adapt to the working man hands the crop , as this could preserve nature and maintain its beauty intact.